Posted by rogerhollander in Asia, Trade Agreements. Roger’s note: I have always found international trade issues and documents to be dull and boring. Time to wake up, Roger. The TPP (Trans-Pacific Partnership) is NAFTA on steroids. Consider this: when governments turn over authority to private corporations, the distinction between private and pubic disappears. Government and corporations become indistinguishable. This is rightly called National Socialism. Another word for it is Nazi-ism. You don’t need Brown Shirts, goose-stepping and a dictator with an absurd looking moustache to have genuine fascism. A president and Congress, backed by a compliant Supreme Court, wholly sold out and owned by the private corporate world (backed by the military and Homeland Security supplied local police forces) will do. Confirming the suspicions and fears of environmental campaigners and concerned individuals across the globe, Wikileaks on Wednesday released a draft version of the ‘Environment Chapter’from the Trans-Pacific Partnership (TPP), exposing most of the so-called “environmental protections” as toothless policies that serve to protect corporate profit not Mother Earth. The draft chapter, which was presented at the Salt Lake City, Utah round of negotiations that took places in November, contains language from the participating nations describing their positions on environmental protections that would be included in the final deal. According to Jane Kelsey, a professor of environmental law at the University of Auckland in New Zealand, the leaked text of the agreement shows no balance between commercial interests and those of the environment. The text falls far below the standards it has insisted are included in all US free trade agreements since May 2007, which resulted from a deal reached between the Democrat-­‐controlled Congress and President George W Bush. The most fundamental problem for the US is the refusal of all the other countries to agree that the chapter should be subject to the same dispute settlement mechanism as the rest of the agreement. It provides for consultation at officials and ministerial levels, leading to arbitration and agreement to a plan of action, but there are no penalties if the state does not implement the plan. Obama is going to find this a very hard sell to domestic constituencies. The timing of the leak could hardly be worse. On 9 January 2014 a Bill seeking fast track authority was presented to the Congress. The controversial fast track process requires the Congress to accept or reject the deal as a whole and imposes a strict time limit on debate. The numbers were already stacking up against the Bill, with Democrats especially critical of the erosion of their powers and the secrecy of the negotiations, as well as the reported content. This leaked environment chapter will further erode support among Democratic members of the House of Representatives who are up for re-election later this year. Obama is going to have to rely heavily on unfriendly Republicans. Read Wikileaks’ full press statement here and view the complete draft version here (pdf). The secretive TPP trade deal between the United States and 11 other Pacific rim nations that has been negotiated with the backing of corporate interests but kept secret from the general public and even most lawmakers from the participating countries. Ilana Solomon, the director of the Sierra Club’s Responsible Trade Program, responded to the leaked draft by telling the New York Times on Wednesday that the language in the deal omits crucial protections against increased environmental destruction caused by globalized trade practices. “It rolls back key standards set by Congress to ensure that the environment chapters are legally enforceable, in the same way the commercial parts of free-trade agreements are,” Ms. Solomon said. Posted by rogerhollander in Canada, Canada petroleum, Canadian Mining, Environment. Roger’s note: the author ends this article by lamenting the damage done by the Harper government to “Canada’s global reputation.” What needs to be added to this are the damages themselves done not only to our environment but to the thousands of human beings who suffer at the policies of this mean-spirited and imperious government. Canada has become the target of unprecedented international condemnation as one of the world’s worst polluters. The international community is unimpressed with Canada’s environmental record, which for some includes the oilsands industry in Alberta. When will this horrid scandal end? Can someone please turn the channel? Shamed on the world stage and ridiculed by many, Canada has been exposed in recent days as a country with political leadership that is greedy, self-indulgent, incompetent and dismissive of our children, as well as woefully captive of special interests. And I’m not referring to Rob Ford. His 15 seconds of fame — as “The Crack-smoking Mayor Who Knocked Down Granny,” as London’s tabloids described him — will end one day. Just keep breathing deeply. I mean, in tabloid terms, another story: “The Short-Sighted Canadian Government That Robbed Our Children.” And, sadly, its legacy may never end. What makes it worse is that this comes at a time when the government of Stephen Harper faces criticism for blackening Canada’s reputation in foreign policy in other areas as well. Although it hasn’t received the media attention of the Ford soap opera, Canada in the past week has been the target of unprecedented international condemnation as one of the world’s worst polluters. These reports have coincided with a major UN climate change conference in Warsaw, Poland. One after another, accusations have been directed at the Harper government for being an international deadbeat when it comes to climate change and the environment. The Washington-based Center for Global Development ranked Canada dead last among the 27 wealthy nations it assessed in terms of environmental protection. Every other country has made progress except Canada, according to the group. A report issued this week by the Europe-based Germanwatch and Climate Action Network placed Canada at the bottom of an international list of countries in tackling greenhouse-gas emissions, ahead of only Iran, Kazakhstan and Saudi Arabia. By any measurement, this is not how most Canadians want their country to be seen internationally in an area so crucial to Canada as the environment. This challenges the conventional wisdom — often reflected in current political debate and media coverage — that Canadians have tired of the environment and climate change as public policy issues. According to a new survey released last Monday, Canadians increasingly believe — six in 10 — that climate change is real and caused by human activity, which is the highest level since 2007. But they are losing faith in government to address the issue. The survey was conducted by the Environics Institute for Survey Research and the David Suzuki Foundation. These results were broadly consistent with another national survey released in early November that showed that three out of four Canadians were concerned about climate change but many were critical of how the federal government handled the issue. The poll was sponsored by the Canada 2020 think tank and the University of Montreal, and was conducted by Leger Marketing. The Canadian government’s handling of climate change is part of a pattern. Domestic political calculations here in Canada — rather than any high-minded sense of Canada’s international obligations — seem to drive the Harper government’s foreign policy decisions. How else to explain Canada’s unquestioning support of the Israeli government? The price of that has been to relegate Canada to irrelevance in the Middle East. How else to explain Canada’s abrupt decision a year ago to pull its embassy out of Iran? The price of that has been to eliminate any possibility Canada can be a factor in the current nuclear negotiations. Even Britain is now taking steps to reconcile with Iran. How else to explain Harper’s decision to boycott the recent Commonwealth conference in Sri Lanka in response to pressure from Canada’s Tamil community? The price of that was to sideline Canada from the human rights debate at the conference. In contrast, British Prime Minister David Cameron, who attended the conference, was able to challenge directly the Sri Lankan government for its handling of the Tamil minority. The Rob Ford scandal has been a genuine black eye for Canada. His continuing presence on the political scene is as mystifying to foreigners as it is embarrassing to Canadians. But one day, thankfully, Ford will be gone. In a variety of areas including climate change, the damage being done by the Harper government to Canada’s global reputation is a stain that will stay with us for much longer. Roger’s note: this article demonstrates the inadequacy of electing self-proclaimed left wing governments. Once in power, Brazil’s Lula, and now his successor Dilma Rousseff come under tremendous pressures to advance “economic growth.” Unfortunately such pressures a rarely resisted since counter pressures do not compare in strength to the massive media and corporate campaigns to promote such growth. In the end, these governments, despite their campaign promises, end up with the same Neo-Liberal economic strategies as their right wing predecessors. This is not to say that the election of such “leftist” governments in Latin America (Venezuela, Ecuador, Argentina, Bolivia, Uruguay, Nicaragua, etc.) is insignificant. It represents popular pressures from below to resist the reach of the US imperial tendrils. But the election of such governments is not enough, it is only a first step toward a genuine liberation from the imperialist and capitalist destruction of the social and natural environments. In the case of the article below, we are talking about the Amazon Rainforest, the very lungs of the world. Posted by rogerhollander in Agriculture, Environment. Environment group Greenpeace has claimed social media led to its success in a campaign that linked global food giant Nestle’s chocolate bar KitKat to deforestation in Indonesian rainforests and the destruction of orang-utan habitats. Today in Malaysia, Nestle announced a partnership with not-for-profit organisation The Forest Trust (TFT), promising to adhere to responsible sourcing guidelines for palm oil. In a Greenpeace report titled Caught Red-handed, launched on March 17, Greenpeace exposed Nestle’s use of Indonesian logging company Sinar Mas and subsidiaries including Asia Pulp and Paper to obtain palm oil. Palm oil is used as an ingredient in Nestle chocolate products, including its well known KitKat chocolate bars. Greenpeace said Sinar Mas was implicated in rainforest destruction and the destruction of orang-utan habitats as it planted plantations for palm oil and pulp. An accompanying video posted on YouTube went on to record more than 1 million views – in part because Nestle had attempted to have it removed, Stephen Campbell, the head of campaigns for Greenpeace Australia Pacific, said today. By March 31, Nestle had agreed to stop dealing directly with Sinar Mas and its subsidiaries. Today’s announcement and the involvement of TFT marks a further step, in that it commits Nestle to no longer source Sinar Mas products indirectly through third-party suppliers. Nestle said it would “focus on the systematic identification and exclusion of companies owning or managing high risk plantations or farms linked to deforestation”. Mr Campbell said Nestle had shown a misunderstanding of the role of social media. “It’s no longer about broadcasting, it’s about interaction,” he said. Why would I fly across the country on my own dime knowing I would most likely end up in jail in one of the poorest parts of America? Well, have you ever heard of MTR? Don’t feel bad, my friends are intelligent, well-read and informed people, but most of them had never heard of MTR (Mountain Top Removal) either. So, I went to Coal River to help bring much needed attention to this hidden, criminal (but somehow legal) form of mining. I was honored to be joining an inspiringly brave group of concerned Americans, which included NASA climate scientist James Hansen who was among the first to sound the alarm on the climate crisis. The sharp, charismatic, 94 year old, former West Virginia U.S. Representative and Secretary of State Ken Hechler, who was the first congressman to introduce a Federal bill to abolish strip mining in 1971. (If passed the bill could have prevented this mess we find ourselves in.) And I was deeply moved to be arrested with those affected by MTR in Kentucky, and the many local residents fighting for their very lives, including a half dozen senior citizens, canes, walkers and all. Mountain Top Removal is a devastatingly destructive form of mining and has already destroyed 2,000,000 acres in the Appalachian Mountains. Coal companies have literally blown up over 500 mountain tops to access the coal seams and then dumped the refuse into the valleys below, killing over 3000 miles of headwater streams. The EPA just gave the go ahead for an additional 42 mountaintops to be blown off with another 6 permits pending. Mountain Top Removal leaves behind a virtual hideous moonscape of devastated earth, billions of gallons of poisonous toxic sludge, and boarded up towns with dramatically high rates of cancer. Don’t get me wrong, I have great respect for, and am deeply indebted to the miners working in coalmines and on MTR projects who risk their lives daily to bring power to our country. I understand they feel threatened by anything that might take away their jobs. And, I don’t want to see them lose more jobs, as 75% of mining jobs have already been lost to the machines and explosives of MTR. While it takes fewer miners to remove coal with Mountain Top Removal, there are just as many dangers, accidents and fatalities! It is a cheaper way for the companies to mine and that’s why it’s becoming so pervasive. Dear Daryl,Thank you so much for coming to West Virginia and trying to save our mountains from Mountain top removal. I am a 9th generation Appalachian and it pains us to see what is happening. If it was not for the Internet I wouldn’t have known about your efforts. Massey has quite a bit of influence of the local media in the coalfields. I am sorry you were arrested but I thank you for standing up for what is right. We need to work on sustainable communities here in the mountains so that coal miners will have opportunities for jobs not so dangerous. 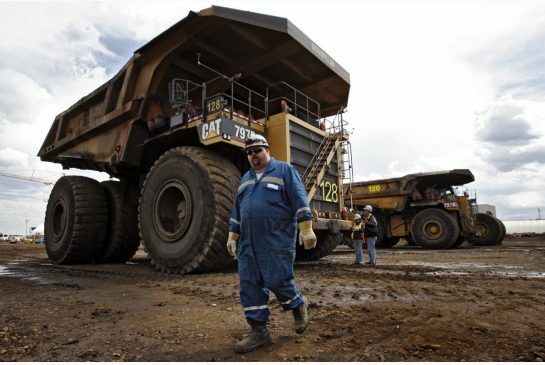 My brother works, when he can’t find anything else, at the mines driving the large dump trucks that haul the coal out of the pits. It’s dangerous work even if you are not underground. You just wouldn’t believe the equipment they give them to work with. This one site he was in this massive huge dump truck that the floorboard was rusted out with open holes. Rocks would fly back into the cab from the tires. And when it rains, it’s a mudslide. One of his co -workers was killed when the dump truck went over an embankment last year. Reporting gets you fired. And yet these workers will defend the job because there is nothing else. So thank you for standing up with us. We do appreciate it. According to WVU’s institute for health policy research, coal county residents are more likely to suffer from chronic heart, lung and kidney diseases, cancers and generally suffer from excess numbers of premature death. There’s a high cancer risk for up to 1 out of every 50 Americans living near the more than 100 billion gallons of toxic sludge in the clay-lined and unlined (the majority unlined) coal ash landfills and slurry ponds, such as the TVA Kingston ash sludge landfill that collapsed into the Emory River in December. Tennessee Valley Authority officials consistently have said the ash spilled in December from the utility’s Kingston Fossil Plant wet landfill in Harriman, Tenn., and in January from its Widows Creek pond in Stevenson, Ala., is non-hazardous… but after the spill, regulatory and independent testing have found high levels of toxicity in the spilled waste and raw water where the two spills occurred. Thirty-one of the landfills and slurry ponds in Tennessee, Georgia and Alabama are on or near major waterways! The slurry pond above the Marsh fork elementary school where we held our protest holds 2.8 billion gallons (it’s one of the smallest ponds — one nearby in brushing fork holds 9 billion gallons) of sludge in unlined pits containing arsenic, lead, cadmium, and mercury. Tragically but predictably in coal river valley, the children are often sick with headaches and asthma, and among the 200 students and teachers at Marsh Fork elementary school cancer rates are higher than average. Three teachers have died from cancer and one is struggling with the disease now. In 2005 one student died from ovarian cancer at age seventeen and another is still battling ovarian cancer. West Virginia. It is hell.Every morning a 6 am my cat starts coughing. My eyes burn, my nose burns (sometimes bleeds), I get ill, and my health continues to fall apart. I got two forms of cancer, I can’t drink the water… and we are 15 miles from Marsha Fork where they are making (was supposed to be shut down) a cyanide based pesticide that in an accident killed 1800 people in India. My kid is lead poisoned, my wife is- and in a mile radius 10 people have had heart attacks or died from whatever is here. The dust is full of arsenic and the Massey power plants create a blue haze which is really sulfuric acid. EPA won’t come near this place. It is owned by the coal industry. Thousands, who live here and are dying from 100 miles of rivers under coal sludge, Do the earth a favor and check on this and if you feel like improving our life send us a ticket out of here. I am sending you a picture of my son. He is being poisoned here. It breaks my heart. We cannot even get workman’s comp and have huge families. We are the poor of southern West Virginia..
State regulators are telling the people that it’s an “improvement” to flatten a forested mountain, seed it with grass and hope that some shrubs will grow — and then allow hunters who have signed “the appropriate waivers of liability, indemnifications and assumptions of risks” to hunt whatever animals might choose to inhabit such barren fields. As humorist Dave Barry says, we’re not making this up, although we wish we were. Let me make one thing clear… there is no such thing as clean coal!!! I wish President Obama would stop using the term and take CEQ chief Nancy Sutley and EPA head Lisa Jackson to visit these unfortunate mining sites under their jurisdiction. When we flip the switch to turn our lights on, most of us have no idea where that power comes from. According to the U.S. dept. of energy, more than 50% of our electricity comes from coal. “Clean coal” is the industry’s attempt to “clean up” its dirty image — the industry’s greenwash buzzword. It is not a new type of coal. “Clean coal” methods only move pollutants from one waste stream to another. Coal is a dirty business! The good news is we have a solution! A study of the long-term benefits of infinite Wind Power versus finite coal MTR in Coal River Mountain, West Virginia already exists. They show “excellent potential” for efficiency, productivity and economic benefit. Though it doesn’t have short-term financial returns, wind promises to provide clean, inexpensive energy and offers scores of safe jobs for the long term. Just check out the staggering figures from a report released by the American Wind Energy Association: “wind industry jobs jumped to 85,000 in 2008, a 70% increase from the previous year.” Renewable energy will continue to grow exponentially, whereas mining jobs have decreased or remained relatively stagnant at “81,000 workers” for over 20 years, according to the 2007 U.S. dept of energy report. I can understand why those who live in coal towns are frustrated, because while we have this technology available to us now — it is still just “a promise” in these regions. It’s imperative we let our president, our elected public servants and entrepreneurs know that this is where we want our investment to be directed. Hopefully some wise, forward thinking heroes will step up the plate, build the wind farm and take this incredible win, win, wind, opportunity to bury the dirty dinosaur of Mountain Top Removal forever. Daryl Hannah is an actress and environmental activist. 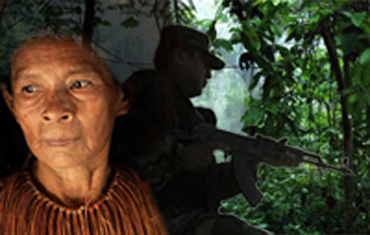 Posted by rogerhollander in Environment, First Nations, Human Rights, Latin America, Peru. The Peruvian government has pushed through legislation that could allow extractive and large-scale farming companies to rapidly destroy their Amazon rainforest. Indigenous peoples have peacefully protested for two months demanding their lawful say in decrees that will contribute to the devastation of the Amazon’s ecology and peoples, and be disastrous for the global climate. But last weekend President Garcia responded: sending in special forces to suppress protests in violent clashes, and labelling the protesters as terrorists. These indigenous groups are on the frontline of the struggle to protect our earth — Let’s stand with them and call on President Alan Garcia (who is widely known to be sensitive to his international reputation) to immediately stop the violence and open up dialogue. Click below to sign the urgent global petition and a prominent and well-respected Latin-American politician will deliver it to the government on our behalf. More than 70 per cent of the Peruvian Amazon is now up for grabs. Giant oil and gas companies, like the Anglo-French Perenco and the North Americans ConocoPhillips and Talisman Energy, have already pledged multi-billionaire investments in the region. These extractive industries have a very poor record of bringing benefits to local people and preserving the environment in developing countries – which is why indigenous groups are asking for internationally-recognized rights to consultation on the new laws. For decades the world and indigenous peoples have watched as extractive industries devastated the rainforest that is home to some and a vital treasure to us all (some climate scientists call the Amazon the “lungs of the planet” – breathing in the carbon emissions that cause global warming and producing oxygen). The protests in Peru are the biggest yet and the most desperate, we can’t afford to let them fail. Sign the petition, and encourage your friends and family to join us, so we can help bring justice to the indigenous peoples of Peru and prevent further acts of violence from all parties. Luis, Paula, Alice, Ricken, Graziela, Ben, Brett, Iain, Pascal, Raj, Taren and the entire Avaaz team. Want to support Avaaz? We’re entirely funded by member donations and receive no money from governments or corporations. Our dedicated online team ensures even the smallest contributions go a long way — donate here. You are getting this message because you signed “” on 2009-01-30 using the email address rogerholla@easynet.net.ec. To ensure that Avaaz messages reach your inbox, please add avaaz@avaaz.org to your address book. To change your email address, language settings, or other personal information, https://secure.avaaz.org/act/index.php?r=profile&user=cc9c92f34695ccaa0bf131e7a12bd0d6&lang=en, or simply go here to unsubscribe. To contact Avaaz, please do not reply to this email. Instead, write to info@avaaz.org. You can also call us at +1-888-922-8229 (US) or +55 21 2509 0368 (Brazil) If you have technical problems, please go to http://www.avaaz.orgNo virus found in this incoming message. Posted by rogerhollander in Barack Obama, Labor. WASHINGTON — The administration has no present plans to reopen negotiations on the North American Free Trade Agreement to add labor and environmental protections, as President Obama vowed to do during his campaign, the top trade official said on Monday. “The president has said we will look at all of our options, but I think they can be addressed without having to reopen the agreement,” said the official, Ronald Kirk, the United States trade representative. It was perhaps the clearest indication yet of the administration’s thinking on whether to reopen the core agreement to add labor and environmental rules. Mexico in particular, whose exports have exploded under Nafta, has little interest in such a renegotiation. Not only Mr. Obama but also one of his rivals for the presidency, Hillary Rodham Clinton, had promised during their campaigns to renegotiate the accord — a politically popular position in some electorally important Midwestern states that have lost thousands of manufacturing jobs. Thea Lee, the A.F.L.-C.I.O. policy director, said that the workers federation would have preferred “more definitive” language on addressing key labor concerns, but that it was understandable for a new administration to start its review with a less confrontational approach. “We were obviously very encouraged by what Obama the candidate was saying on the campaign trail in terms of needing to recognize the deficiencies of Nafta and to strengthen it,” said Margrete Strand Rangnes, a labor and trade specialist with the Sierra Club. Since the election, neither the president nor Mrs. Clinton, now secretary of state, has said much about trying to move side agreements on labor and the environment — which are subject to limited enforcement — into the main part of the trade pact, a potentially tangled and protracted process. As candidates in the Democratic presidential primaries last year, both said they would renegotiate or even opt out of Nafta, citing flaws in its labor and environmental provisions, while trading accusations over past support for the agreement. Mr. Kirk, who as mayor of Dallas was known as a strong advocate of free trade, also said the administration planned expeditious reviews of pending trade agreements with Colombia and Panama. He said that Colombia had made “remarkable progress” in reducing violence — attacks against labor activists have been a key sticking point — but that other issues remained, and he vowed intensive consultation with Congress on the matter. The Bush administration signed the agreement with Colombia in November 2006. But Congressional Democrats and United States labor groups have said the Uribe government must do more to stop the antilabor violence and hold perpetrators accountable, a position Mr. Obama supported during his campaign. Regarding Panama, Mr. Kirk said that differences on labor standards, and the question of the country “possibly being a tax haven,” needed resolution. Mr. Obama and Mr. Kirk met with leaders of both countries during the Trinidad meeting.